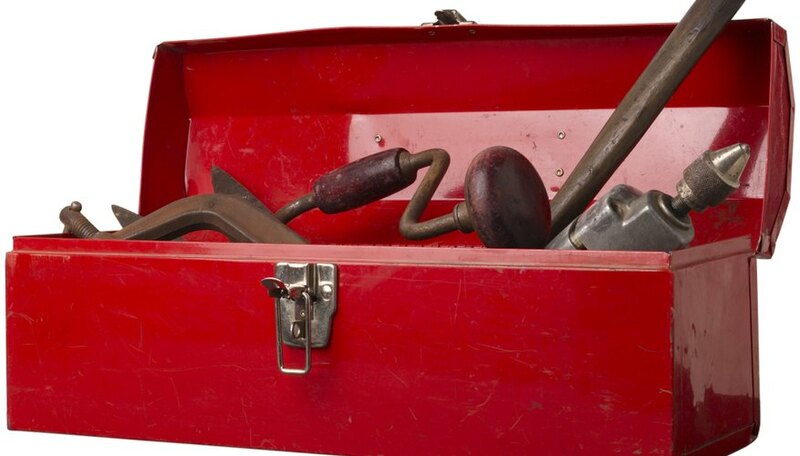 You’ve inherited several boxes of antique tools from your grandfather’s estate. Although you have your own tool collection, you enjoy sifting through the piles of woodworking and machinist tools. Many of the wooden handles have a worn patina that speaks of long years of use; the metal components no longer have their shiny gleam and sharp edges. Because you believe antique tool collectors would feel a kinship with these well-used tools, you begin to research the best way to sell them. Identify the antique tools. Since many antique tools have been obsolete for some time, you need to identify the tools and their functions before you can sell them. The Catalogue of American Patented Antique Tools categorizes dozens of antique tools, along with photographs and descriptions of the tools’ uses. Sell to an antique tool dealer. Tools ‘n Rules is an online marketplace that buys and sells all kinds of antique tools and rules. The Tools n’ Rules website maintains separate categories for machinist tools, planes, rules, other tools, and tool catalogues and manuals. Conduct your own antique tool sale. Find a central location, catalogue the tools and advertise the event through several means: classified ads and free calendar listings in local newspapers; flyers at regional antique stores; and listings on antique tool club Web sites. Although this option involves some expense, you likely will attract a regional audience dedicated to antique tools. Consign the tools at a local antique dealer. This option works if you don’t want to assign values, negotiate prices and ship the tools yourself. However, many antique dealers are not antique tool experts, and thus will be limited in the knowledge they can communicate to customers. Sell the tools at auction. The "Fine Tool Journal" is a gathering place for hand tool lovers. Besides publishing a print magazine, "Fine Tool Journal" conducts two types of online antique tool auctions: the Brown Auction Services Auction, which conducts two events annually; and the "Fine Tool Journal" Online Auction, which is conducted periodically.